Pumpkin RisottoBy Alyssa SaltzmanPumpkin risotto is a creamy and delicate dish perfect for this fall season, when the pumpkin is the queen of our tables! This recipe is perfectly embodies all the delicious flavors of this vegetable, since it is not covered by any other ingredient, but only enhanced by a small amount of tomato sauce. 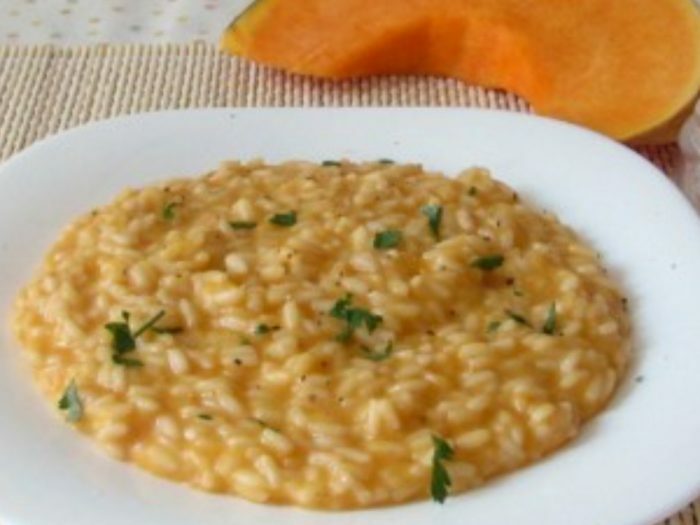 The pumpkin risotto is a dish that warms the heart and satisfies the palate, perfect for a chilly evening.